How Can Epidural Steroid Injections For Back Pain Help Me? 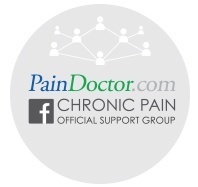 Home/Inside Pain Blog/How Can Epidural Steroid Injections For Back Pain Help Me? Epidural steroid injections for back pain are one of the most useful and research-backed methods for helping people find pain relief. If you suffer from back pain, read on to learn more about how this interventional pain management option could help you. Pain is a relatable experience for everyone and back pain is the number one culprit around the world. Most people will encounter back pain at least once throughout their lives. It is the leading cause of missed days at work as well as disabilities in the United States. 50% of people in the U.S. report having back pain symptoms each year and over $50 billion is spent annually just diagnosing and identifying it. It is no wonder that lots of time and energy has been dedicated to researching this topic and finding new and creative ways to relieve this kind of pain. Medications are one of the top treatment options for back pain, but not all medications are delivered orally. The epidural steroid injection is the application of medications, via an image-guided needle, directly to the painful area. Epidural steroid injections for back pain are useful for both the management and diagnosis of back pain. Watch the video to learn more about the basics of back pain science. Epidural injections have been around in some form for over 100 years, but today’s epidural steroid injections are much safer. The earliest epidural injections were performed in 1885 by neurologist James Leonard Corning. At that time, the injections contained cocaine. Sixteen years later, these injections were used specifically for pain relief and were being performed by at least two other physicians. Steroids were first described as being included in these injections in 1953. Today the main component of an epidural steroid injection is the steroid, since steroids are believed to reduce painful inflammation. Cocaine is no longer used at all during epidural steroid injections obviously, but other, safer pain-relieving analgesic medications (such as lidocaine) are sometimes included. The inclusion of analgesics like lidocaine may allow for immediate pain relief, before the steroids begin to reduce painful inflammation. Inflammation leads to painful stimuli in the body. Not only can the inflammation itself be painful, but in some conditions, such as sciatica, the inflammation can compress and irritate nearby nerves. Therefore, by reducing inflammation, epidural steroid injections can significantly reduce pain. Epidural steroid injections are minimally-invasive injections that are administered into the epidural fluid surrounding the spinal cord. The pain doctor will guide a very thin needle into this space, injecting a steroid such as triamcinolone acetonide, dexamethasone, or methylprednisolone as an anti-inflammatory as well as a local anesthetic such as lidocaine or the longer-lasting bupivicaine to numb the area. Additionally, epidural steroid injections may provide pain relief in another way. It’s believed that the injection of fluid, whether or not it affects inflammation, can promote blood flow through the vessels of the epidural space. This may inhibit pain signals, cleanse damaged nerve cells, and wash away inflammatory molecules. Epidural steroid injections can also be utilized in the diagnosis of different back pain conditions, too. For instance, if applying an epidural steroid injection to a specific area provides relief, it can confirm the location of the pain’s source. If applying an epidural steroid injection to a specific area fails to provide relief, it suggests that the source of the pain is located elsewhere. These injections may also provide a viable potential pain treatment for individuals who are unable to take oral pain medications. Certain health conditions or drug interactions can make oral pain medications a poor choice for pain management, so epidural steroid injections may be preferred. To learn more about how epidural steroid injections work, and to watch a live procedure take place, watch the video below. Epidural steroid injections can provide relief from several different back pain conditions. Steroid injections can provide a great deal of relief and assist in identifying the source of back pain. This treatment is nowhere near as invasive as surgery, but is a treatment option that can have many positive effects. It has been known to greatly increase a patient’s quality of life and improve many chronic back pain conditions. The typical treatment is an outpatient procedure that usually takes no longer than 15 minutes. Even better, the reduction of pain is almost immediate. Sciatica, facet joint arthritis, and lumbar disc herniation are all associated with increased inflammation and can be well-treated with epidural steroid injections. Steroids help treat inflammation that is already present while preventing further inflammation. When the body generates extra white blood cells as an immune response to infection, viruses, or bacteria, inflammation can also result. Epidural steroid injections for back pain help dampen that response so that healing can begin. Conditions where the vertebrae are compressing nerves can also be helped by epidural steroid injections. Degenerative disc disease and spinal stenosis both cause back pain, the former by nerve impingement and the latter due to a narrowing of the spinal column that compresses the spinal cord. The injections do not treat the condition but may help with pain and inflammation caused by this constant pressure. Interlaminar epidural steroid injections are perhaps the most common, largely because they are considered more specific in their aim. During this type of injection, the needle is placed between two vertebrae. The medications are then delivered directly to the nerves on both sides of the spine. However, interlaminar epidural steroid injections are associated with a higher risk of dural puncture, or puncture of the dural membrane. Transforaminal epidural steroid injections involve the insertion of a needle into the epidural space above a nerve root, targeting just one side of the spine. This type of injection may require more imaging guidance, but it is regarded as having a lower risk of dural puncture. Caudal epidural steroid injections are applied into the epidural space of the sacral region, which is at the end of the spine. Larger amounts of medication can be delivered with this type of injection. Additionally, caudal injections have a relatively low risk of dural puncture. However, caudal epidural steroid injections may be less accurate than interlaminar or transforaminal injections. Each type of epidural steroid injection is best suited for certain back pain conditions. For instance, caudal injections may be indicated for people with degenerative lumbar spinal stenosis. Transforaminal injections might be a good choice for those with sciatica, potentially even working well enough to provide an alternative to surgery. For some conditions, such as unilateral lumbosacral radicular pain (ULRP), there may be no long-term difference in pain relief between transforaminal and interlaminar injections. A trained physician or pain specialist will be able to assess each case individually and decide which type of epidural spinal injection is the best choice. There are a few other types of steroid injections that can be used for back pain. These include facet joint injections and sacroiliac joint injections. This method is very similar to the epidural injection technique. The main difference is that the needle is inserted into the facet joint, which is the moveable piece of the spine that connects one vertebra to another. This joint is located between the sacrum, the bone that is located at the base of the spine, and the ilium, the largest, uppermost part of the pelvis commonly known as the hip bone. The sacroiliac joint acts as a shock absorber for the upper body and transmits force throughout the hips and legs. Pain in the legs, hips, and lower back can all be caused by inflammation or arthritis in this joint. Many conditions that present with chronic pain can be treated using traditional oral pain medication rather than steroid injections. Furthermore, your doctor will perform an in-depth history and analysis of current symptoms to identify the characteristics that can affect the success of this kind of treatment. It is standard practice to rule out other pain conditions before moving to epidural steroid injections for back pain. Here are a few examples of back pain conditions steroid injections are commonly recommended for. This condition occurs when the jelly-like interior of the intervertebral disc ruptures through the outer layer through a weakened point. This leads to the irritation of nearby spinal nerves that can lead to back pain, numbness, and weakness in the extremities. Back pain can be caused by certain infections of the spine. There is a much higher probability of this occurring when a patient is recovering from spinal surgery or has a history of abusing drugs. Infection should always be considered as a possibility for back pain when a fever is present. This is a common injury that occurs in the neck region when the tissues in the cervical area are damaged by forceful movements well outside the normal range of motion. Motor vehicle collisions and other events such as extreme impacts in football, riding a roller coaster, and falling off of a bicycle are the major causes of this disorder. Symptoms for whiplash include headaches, shoulder, neck, and back pain, fatigue, dizziness, and visual disturbances. This condition occurs when the spinal canal narrows which can lead to compression of the spinal cord and nearby nerves. In some instances, no symptoms appear immediately and usually develop and worsen over time, but the most common symptoms include neck pain and back pain. Epidural steroid injections for back pain are usually only considered after medication and physical therapy have been exhausted, but before major surgery is considered. The main factor that sets injections apart from oral medication is that the medicine is injected directly into the problem area, targeting the specific muscle and nerves that are in pain. They tend to vary greatly between patients: some provide instantaneous results that can last up to a whole year and others may only experience a brief reprieve from the pain for about one week. Epidural steroid injections can be administered up to three times per year, but there is no consensus in the medical community about the frequency. Some doctors space injections out evenly over the year. Others advocate for all three injections to be given over a series, spaced at two to four week intervals. Most agree, however, that if no pain relief is felt at the first injection, others may not be beneficial. Epidural steroid injections can take place in a clinic, as an outpatient in a hospital setting, or at a doctor’s office. In any setting the procedure is the same, and generally takes between 15 and 30 minutes. You’ll change into a gown so that the doctor will have access to the injection site along the spine. You’ll lie down on an X-ray table, placing a small pillow under the abdomen to slightly raise your spine. If this position is painful, you may be given the option to lie curled on your side or to sit up. Your back will be cleaned, sterilized, and numbed with a local anesthetic. Using fluoroscopy (X-ray) as a guide, your doctor will insert a thin needle into the epidural space. Correct placement of the needle is crucial to properly deliver medication and to prevent side effects. Fluoroscopy helps the doctor to be precise and accurate. After the needle is in place, contrast dye is injected to ensure proper placement and medication is administered, ranging in amounts from three to ten mL. While not painful, some patients report feeling pressure as the medication is injected. When the procedure is complete, you will be monitored for 15 minutes or so before being discharged. You may experience some soreness and swelling at the injection site, but this can generally be addressed with an ice pack. Rest is usually prescribed for the remainder of the day, but you can expect to resume normal activity the day after a epidural steroid injection. You may notice a slight increase in back pain for a couple days, but with continued movement that pain should decrease exponentially as the medication works on the affected area. Physicians have lots of tools at their disposal to make certain that these injections are as safe as possible. Imaging techniques, such as fluoroscopy, are used to provide visualization of the area; contrast dye might be utilized, as well. Proper visualization allows the physician to make sure the needle is placed correctly. Still, it is possible for mistakes to occur, such as a dural membrane puncture. The medication in an epidural steroid injection can potentially cause some side effects. Most are relatively mild, like headaches or hot flashes. Nausea or diarrhea are possible, as well. Also, it’s possible for a temporary increase in blood sugar to occur. This may make epidural steroid injections a less attractive pain management option for diabetic people. It’s also possible that epidural steroid injections might affect bone density if used too often. This can lead to issues like bone loss or an increased risk of fracture. Have you had any experiences with epidural steroid injections for back pain? Did you find any pain relief from the procedure? If you’re interested in learning more about these procedures, click the button below to talk to one of our pain doctors about this treatment option. Thanks for helping me understand that epidural steroid injections can relieve back pain because it’s a combination of anti-inflammatory and also a local anesthetic. I’ve been suffering from chronic back pain and inflammation for the past months, and I think epidural steroid injection would help. I’ll look for a good clinic tomorrow to know more about interventional injections services. Thanks for the advice!